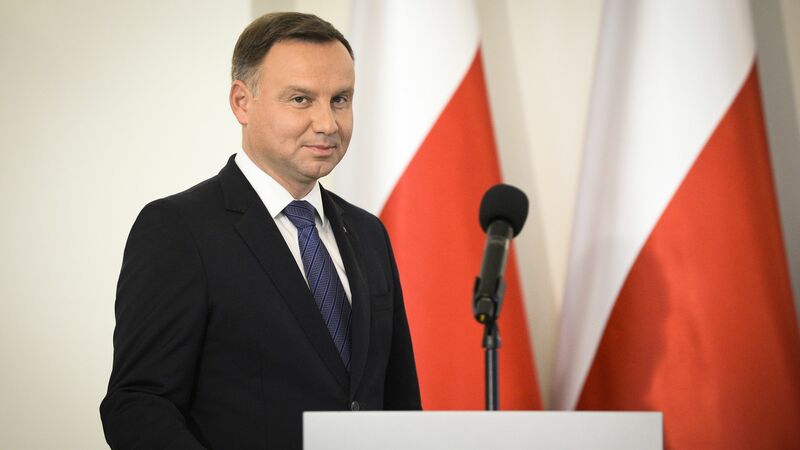 Tuesday marks the first official White House visit by Polish president Andrzej Duda. Up for discussion will be U.S. military bases and Polish energy security. The big picture: Poland remains one of the last all-weather allies for the Trump administration in an increasingly skeptical Europe. While many European allies have soured on the U.S. over increasingly fraught security and trade relations, Poland is doubling down on its relationship with the U.S. — and with Trump himself. Permanent boots on the ground: Duda will try to convince Trump to establish a permanent U.S. military base on Polish soil — a move that would reinforce U.S. support for NATO’s Eastern flank and send a message of deterrence to Russia. Congress has already tasked the Pentagon with studying the issue after Warsaw floated the idea earlier this year, but Duda will use his time in D.C. to make his case at the highest level. The U.S. already has thousands of troops in Poland on a rotational basis. Energy security: Poland strives to become an energy hub in the region and has a big appetite for American liquefied natural gas — an idea Trump has already endorsed. The two leaders also share a strong opposition to the controversial Nord Stream 2 pipeline from Russia. Duda arrives in D.C. fresh from a meeting of the Three Seas Initiative in Bucharest, where Central European leaders have been working toward closer cooperation on energy security. Not on the agenda: Tensions are growing between Warsaw and Brussels over what the EU has deemed serious breaches of the rule of law by Duda’s rightwing Law and Justice party. Despite the European Parliament’s triggering of Article 7 against Warsaw last year, Trump has largely been hands-off on the issue. Given that the Polish government is one of the most pro-U.S. allies within the EU, this is unlikely to change now. The bottom line: Washington has invested heavily in its relationship with Warsaw while overlooking worrying internal developments. This week, security and economic ties will top the agenda, and the fundamental values on which the transatlantic Alliance also rests will go unattended.